Are your carpets bringing down the look of your home? 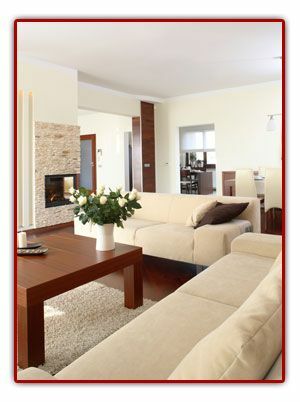 Do you want to change the look of a room without the huge expense of completely redecorating? Instead of changing the dcor, furniture and everything else, sometimes all it needs to bring a room to life is a new carpet or wooden flooring. With over 12 years of experience supplying flooring to all over Northern Ireland, we have the knowledge and products to be able to make sure you are completely satisfied with every aspect of your new flooring, whether it is carpet, laminate or natural wooden floors. In our showroom in Lisburn we currently have over 200 rolls of carpet and vinyl on display as well as a large selection of runners; we also offer a professional fitting service on all products we sell. At Stephen Moore Carpets, we supply all flooring products to both commercial and domestic customers, meaning we are able to undertake contract work. For more information regarding any of our products, or to simply ask a question, give us a call on the number on this page or fill in the form on our Contact Us page.